It’s amazing how the meaning of one word can make such a difference. Understanding what the definition of “so” is makes a big difference in our understanding of the famous verse, John 3:16. That’s what we talked about on Sunday. We we discovered that that so isn’t a description of how great God’s love is, instead it’s a description of the way in which God loved us. When we read “For God so loved the world…”, so is referring to verses 14-15 where Jesus was talking about how he would be lifted up just as Moses lifted up the snake in the desert. That was Jesus’ so – death on a cross. As we talked about this and God’s great love for us, a love great enough to send his one and only son to die on a cross, we also talked about our understanding of God’s love. And if God’s love for the world stops with us, we don’t really understand God’s love. Absolutely, God loves us, but an understanding of God’s love will also compel us to want to share the love with the rest of the world. 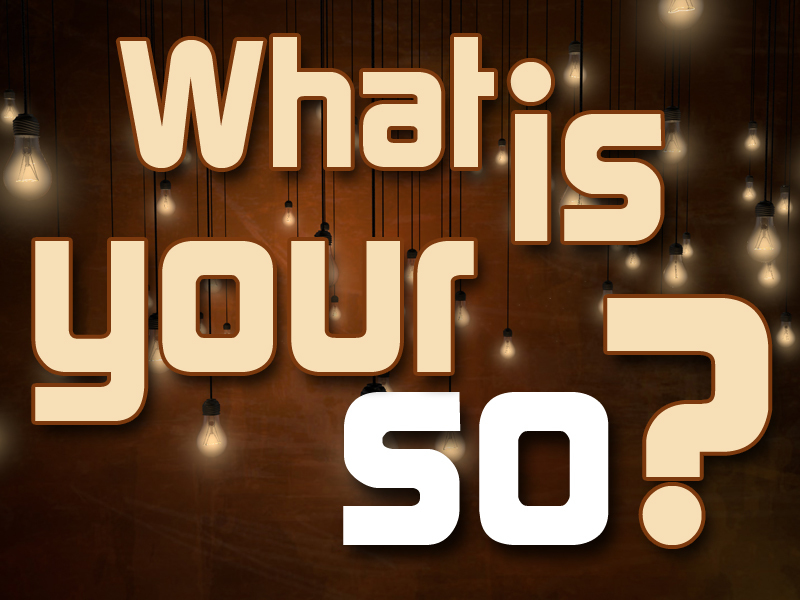 So, we asked the question – “What is Your So?” Jesus’ “so” was death on a cross, but what is our so? What is the way we are going to love the world? And it can look different for all of us. But understanding our so will make us much more effective at reaching out to our 8- 15. For some our so will be through doing things for others, it will be serving them without needing reciprocation. For others it will be meeting a tangible need they have, whether it’s food or finances. Maybe it’s helping them with yard work, or remodeling a bathroom. Maybe it’s climbing under the house to fix a leaky pipe. Or it could be walking with someone through a crisis and just being there for them. All of it done in the context of relationship, intentionally building a relationship with them. Not a relationship only to win them to Christ, but a relationship because you genuinely love them in the same way God love the world, so you want to sacrifice your needs for theirs. Let me ask you a question? What is your so? If you’re brave enough, will you share it in the comments section below? I think it could be tremendously helpful if we start sharing our so, the way we are going to love our world. By sharing your idea, you might be giving someone else an idea of how they can love their world. Will you share you so below?